The Patagonia Snowshot Mens Jacket provides above average waterproofing/breathability and some pretty technical features at a pretty reasonable price. It’s also got a much more flattering cut these days since the last time I tried it. A big thanks to Patagonia @ Bend for giving us access to this. 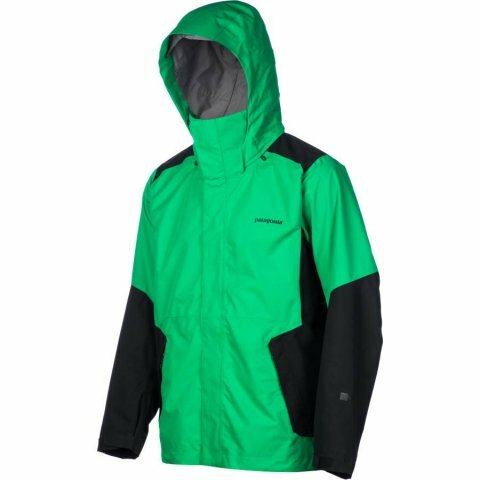 The Patagonia Snowshot Jacket line is one of the only jackets that seems to cater to the average all mountain snowboarder. 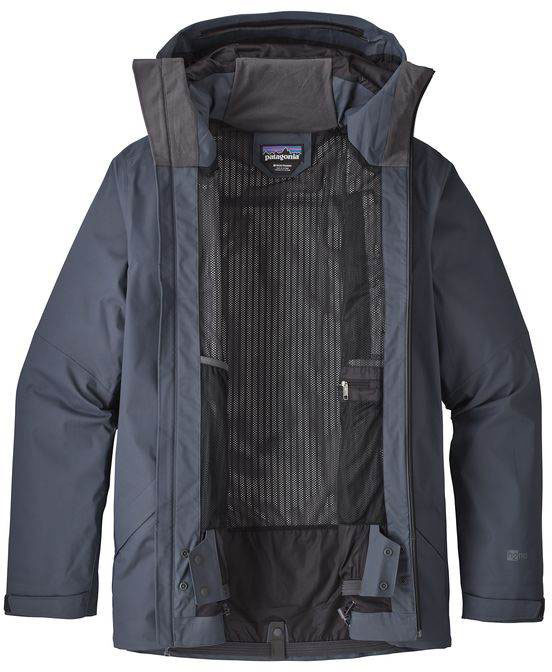 The Snowshot seemst to be the evolution of the Sidewall Jacket from 2010. I owned this for a season and found it to be a good jacket. Fit: Felt a little on the baggy side and wasn’t quite as flattering around the mid section as some jackets I have owned. It was just a little more narrow around the shoulders and chest but then didn’t taper much at the waist making it accentuate the wrong parts of my frame. It wasn’t terrible or anything but just didn’t flatter my thick body as much as it would a guy with a thinner build. Construction: Very well made and also has a great warranty. 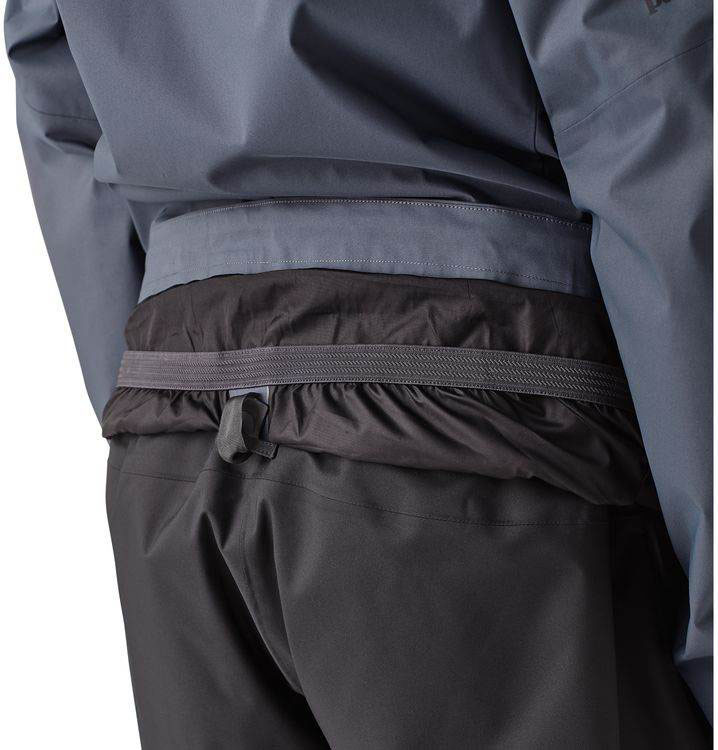 Like the mesh lining inside too. Hood: Not a fan of the articulating hood. I’m more into contoured hoods over articulating hoods but many prefer articulating. I don’t like how it can expose parts of the face and since I often don’t wear a balaclava this can be anoying. Insulation/Warmth: No real insulation or warmth here. Just a shell made to block wind and weather so the layers underneath can keep you warm. 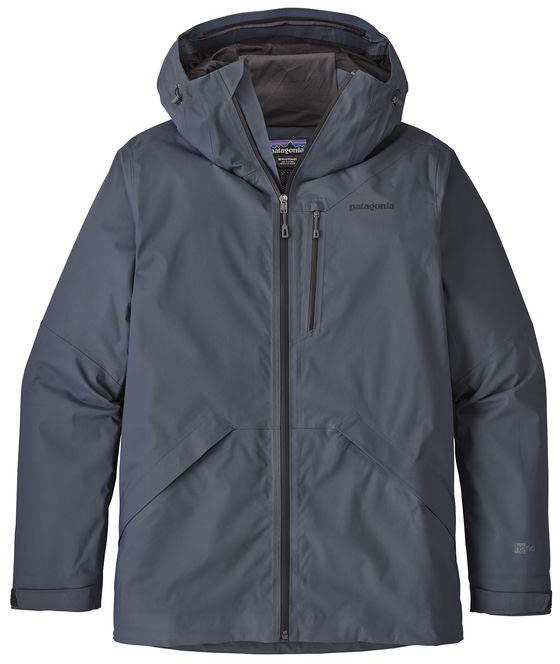 Waterproofing: Unlike Gore-Tex Jackets that have a membrane insert but the Patagonia Snowshot has a lamanate called H2No. 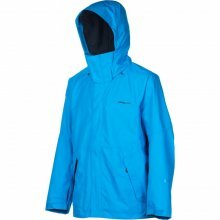 It does a very good job at keeping water on the outside but it can be argued either way that it’s not as waterproof as a good Gore-Tex jacket. So if it does loose it’s waterproofing you can send it back and they will fix it as this has a lifetime warranty on waterproofing. Breathability: Felt like it regulated my heat rather well. 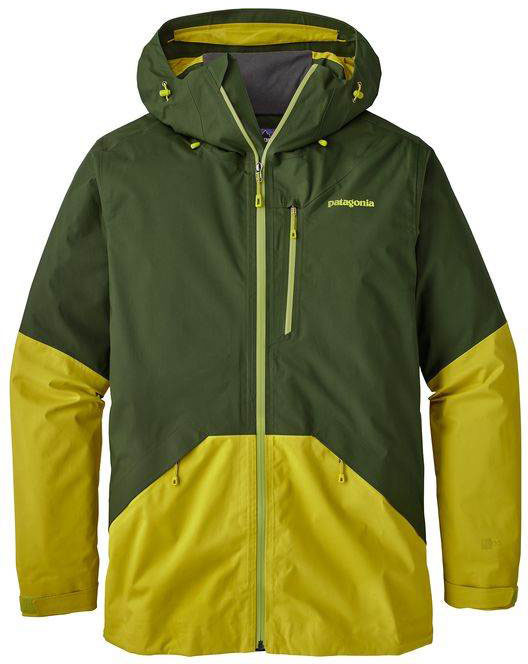 Overall: The Patagonia Snowshot is a good snowboarding jacket that could work for many riders. 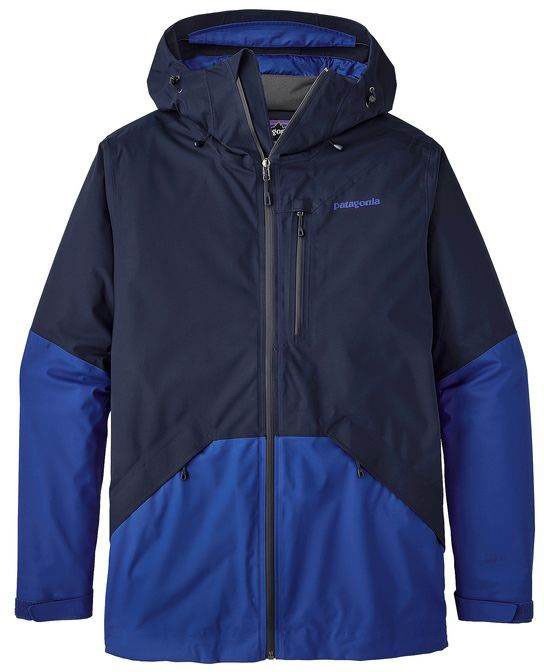 We try to get as many images of the Patagonia Snowshot Men's Jacket, but forgive us if they're not all there.